On the night of June 4, 2014, less than a fortnight after the swearing-in of the new government headed by Narendra Modi, 28-year-old Information technology manager Mohsin Mohammed Shaikh was lynched in Pune, Maharashtra. The Times of India reported on June 5 under the headline “In Pune, ‘Hindu zealots’ kill man over ‘offensive’ Facebook post, 13 arrested.” Shaikh was killed randomly after rumours spread over an objectionable post on Facebook. His killers were members of the Hindu Rashtra Sena, a police inspector said. Shaikh and his roommate were returning home on their motorcycle after picking up their dinner when a the gang blocked his way near the lane just behind his house and started hitting him with sticks. While the roommate managed to escape, they bludgeoned the young man. Shaikh died a little while later in the hospital where he was taken. Earlier, a little before the murder, the same youths had beaten up two other men at the same spot, the Times reporter said. Shaikh’s was the country’s first death as a result of communally targeted violence after Mr. Modi assumed office, winning an election with the promise of development for the emerging aspirational India, and an unprecedented galvanising of the Bharatiya Janata Party’s, and Mr. Modi’s, majority core constituency. The pungent mix of supremacist religious and nationalist rhetoric, and the accompanying demonising the Muslim and Christian minorities raising the bogeyman of demographic threat to Hinduism in India, polarised the electorate. Mr. Modi’s failure, if not refusal, to name and chastise the Sangh Parivar conglomerate has led to a singular aggression by cadres of the party and the sangh in small towns and villages across the country. And it has exacerbated the impunity inherent in the state apparatus, specially the police. “Don’t you know this is a Hindu Rashtra,” the station house officer of a Greater Noida police station in Uttar Pradesh told a group of pastors as he beat them up to “appease” a mob from Kulesra village that had attacked them, accusing them of carrying out illegal conversions to Christianity. Unlike the states of Madhya Pradesh, Chhatisgarh and Gujarat, Uttar Pradesh neither has the notorious Freedom of Religion Act, the ironically named law against conversions mostly to Christianity, nor is it governed by the BJP. But that is the mood prevailing in most states since May 26, 2014. Since then, there has been a marked shift in public discourse. There has been a relentless foregrounding of communal identities, a ceaseless attempt to create a divide between ‘us’ and ‘them.’ Hate statements by Union and state ministers, threats by Members of Parliament, state politicians, and cadres in saffron caps or Khaki shorts resonate through the landscape. The hate campaign is well documented. The Evangelical Fellowship of India and Alliance Defending Freedom recorded 44 separate cases of hate speech by prominent politicians which merit criminal charges against them. But most cases go unreported, unrecorded by police. Christians form about 2.3 percent of the population. The Muslim population, according to a selective leak by the government of the 2011 Census data, has grown to 14.2 percent. The Census report on religious populations has not been officially published. Hate speeches have resonated in debates in the Chamber of the Lok Sabha – an exceptionally and aggressively provocative and virulent one by the BJP leader and lead speaker, Yogi Adityanath, in the debate on communal violence — and in meetings, rallies and statements to the media by leaders of the Rashtriya Swayamsewak Sangh and its associate organisations. Adityanath, now head of a religious cult in Gorakhpur in Uttar Pradesh, got away with demonising the Muslim community and others. This refrain was picked up by the Deputy Chief Minister of Goa state, and by big and small leaders across the country, going viral on social media and the national TV News channels in their English and Hindi debates. The Sangh ideologue, Mr. MG Vaidya, said on May 19, three days after the election results, that they can now tackle issues such as the building of the Ram temple on the site of the Babri mosque they demolished in 1992. Vishwa Hindu Parishad leader Mr. Ashok Singhal, said “If [Muslims] keep opposing Hindus, how long can they survive?” Another leader, on May 25, 2014, said “Modi will restore Hindutva rule, like Prithviraj Chauhan.” The focus shifted to [i]Love Jihad[/i], and more children to be produced by Hindu women to offset the increase in the Muslim population. Sadhvi Prachi, a central minister, Members of Parliament Sakshi Maharaj and Adityanath set targets for Hindu married women: conceive from four to 10 children each. By February 2015, the cry for a total ban on cow slaughter was in full peaking. The state of Maharashtra banned the slaughter of the cow and its progeny, and even the possession of beef from other states. The first arrests under the new law took place in May 2015, in a butcher’s shop in Mumbai, for the possession of meat suspected to be beef. The hate campaign has mutated to a more coercive and threatening phenomenon that has percolated to the Universities and colleges, and to the villages and small towns over much of the country. One group even set up a “Hindu Helpline” to assist anyone from the majority community who is being harassed by Muslims, announcing its cadres will come to the help of any Hindu parent who suspects his or her daughter is seeing a Muslim youth. Such hate, inevitably, leads to violence. Desecration and destruction of churches, assault on pastors, illegal police detention of church workers, and denial of constitutional rights of freedom of faith aggravate the coercion and terror unleashed in campaigns of Ghar Wapsi and cries of [i]Love Jihad[/i]. In Chhatisgarh state, villages are passing orders banning the entry of priests of faiths other than Hinduism. At least 43 deaths in more than 600 cases of violence — 194 targeting Christians and the rest Muslims– have taken place in Between May 26, 2014 and May 13, 2015, marking almost one year of the National Development Alliance government of Mr. Narendra Modi. The number of incidents of communally targeted violence could be very much higher, but official records are not available. Many other crimes are not registered by the police. Victims often are coerced into reaching a settlement. In the very first few weeks of the new government, the Minister of State for Home Affairs, Mr. Kiren Rijiju, told the Upper House of Parliament that 113 communal incidents took place in various parts of the country during in May and June 2014, in which 15 people were killed and 318 others injured. Many of the incidents of violence were directed against individuals and places of worship of the Muslim community. Uttar Pradesh state, which saw large-scale violence in its western district of Muzzafarabad in the runup to the general elections, have been among the states where Muslims have been targeted, as have the states of Maharashtra, Gujarat and Assam. The Prime Minister, however, refuses to reprimand his Cabinet colleagues, restrain the members of his party members, or name and silence the Sangh Parivar, which proudly proclaims it has propelled him to power in New Delhi. His response has been an aggressive rebuttal, accusing the church leaders of making mountains out of molehills. He has accused them of internationalising trivial incidents in a campaign to injure India’s image and his development agenda. In Tokyo, he mocked “secularists.” And in Delhi, in the wake of an outcry over the desecration of five catholic churches and a convent school, the Delhi police commissioner and government trotted out a list of temples which had reported thefts. The Ministry of Home Affairs published data of the last three years of the Indian National Congress Party’s United Progressive alliance government to demonstrate there had been no sharp rise in violence against religious minorities. It did not release the data for communal violence since Mr. Modi took over as Prime Minister. Mr. Modi first formal response, made on Aug. 15, 2014, in his Independence Day address at the Red Fort in New Delhi, was to call for a 10-year moratorium on communal and caste violence. This was followed by government declaring Christmas to be reconstituted as “Good Governance Day” in honour of the BJP leader and former Prime Minister, Mr. Atal Behari Vajpayee. There are fears at a severe whittling down of the 15-Point Programme for Minorities, a lifeline for many severely economic backward communities, especially their youth seeking higher education and professional training. Since then, twice in Parliament in brief interventions, and once in a major address to the Christian community, Mr. Modi has assured protection. “Your security is my job”, he told a Christian delegation which called on him to greet him on the eve of Christmas 2014. He repeated that while addressing a function of the Syro Malabar Catholic community. The incidents of violence continue. And so does the anxiety of the Muslim and Christian communities, in particular, though a section of the Sikh leadership has also expressed its unhappiness with the RSS Ghar Wapsi campaign in Punjab. 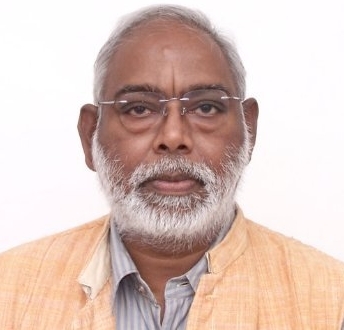 John Dayal is co-founder and Secretary General of the All India Christian Council, and former president of the All India catholic Union. His is a member of India’s National Integration Council, among other governmental bodies. Visit his website here.